Rebel Records has released veteran bluegrass band Big Country Bluegrass’s fifth Rebel release Mountains, Mamas and Memories (REB-1872). The album marks 32 years as a band, and their dedication to traditional bluegrass is just as strong now as it was when they started back in 1987. Choice material and heartfelt singing coupled with their spirited drive and energy highlight each of their releases, and Mountains, Mamas, and Memories offers plenty of evidence that the group continues to produce outstanding recordings. Through the years Big Country Bluegrass has proven quite adept at finding older obscure songs as well as new material that fit their style. Mountains, Mamas and Memories is filled with twelve wonderful numbers, and – whether they’re vintage or newly penned – the band makes them their own. The opening track and first single Country Boy, Banjo, and Flat Top Guitar was written and recorded back in the 1960s by the Highland Ramblers on a small, obscure Midwestern record label, and it is brimming with bluegrass flavour. Other vintage gems on this album include: Red Allen’s Keep on Going, Allen Mills’ Back to the Mountains, The Hills of Caroline, learned from a 1973 Southern Show Boys recording, and the Bill Anderson penned Dead or Alive, which guitarist Eddie Gill found on a 1974 recording by the Bluegrass Blackjacks. he struggle of living in the Appalachian Mountains. Boston-based writer Tracy O’Connell, who wrote Burn the Barn on their previous recording Let Them Know I’m From Virginia, has two new songs on this release: Mama’s Radio and You Can’t Buy Your Way Out of the Mines are especially expressive and colourful. North Carolina musician and WPAQ radio disc jockey Tim Frye penned the lively Carolina Traveler, and Glenn Alford of Kentucky follows up his two songs on the last project with How Lucky I Was (To Be Their Son) for this release. Eddie Marrs of West Virginia wrote the compelling Times Were Good When Times Were Hard, and Patrick Burns and Bruce Carpenter co-wrote the stirring sacred number Is This Seat Taken? Tommy Sells on mandolin and his wife Teresa on guitar singing lead and harmony vocals continue to lead Big Country Bluegrass as they have from the beginning. Eddie Gill plays guitar and sings most of the distinctive lead vocals. John Treadway picks the spirited banjo and sings harmony. Tony King provides the rock solid upright bass work, and Tim Laughlin sings harmony and contributes the rousing fiddling for the band. Click the album title to stream or buy Mountains, Mamas and Memories. 9. Is This Seat Taken? Full album, Mountains, Mamas and Memories, to Be Released February 22nd. Country Boy, Banjo and Flat Top Guitar sounds like it was just waiting for Big Country Bluegrass to find and record it for today’s traditional bluegrass fans. Originally released on a 1967 LP by a Midwestern band called The Highland Ramblers, the song is brimming with bluegrass flavour. I was drawn to the nostalgic feel of the lyrics and with John [Treadway]’s banjo picking, it takes me back to when we first formed the band 32 years ago. Our first banjo player, the late Larry Pennington, was such an inspiration and a big part in creating our band style. Eddie Gill sings the lead here and my wife Teresa the tenor while fiddler Tim Laughlin adds the baritone – Tommy Sells, band leader. Country Boy, Banjo and Flat Top Guitar is the opening number on Mountains, Mamas, and Memories, a 12-song collection that features a nice balance of older obscure songs with strong, original material that fits the band’s style. Rebel Records has announced today’s release of “Burn the Barn,” the first single from Big Country Bluegrass’ upcoming 30th Anniversary recording Let Them Know I’m From Virginia (REB-1862). The hard-driving, “barn burning” number, written by Tracy O’Connell, is a fitting kick-off to an album that celebrates three decades of high energy picking and singing. 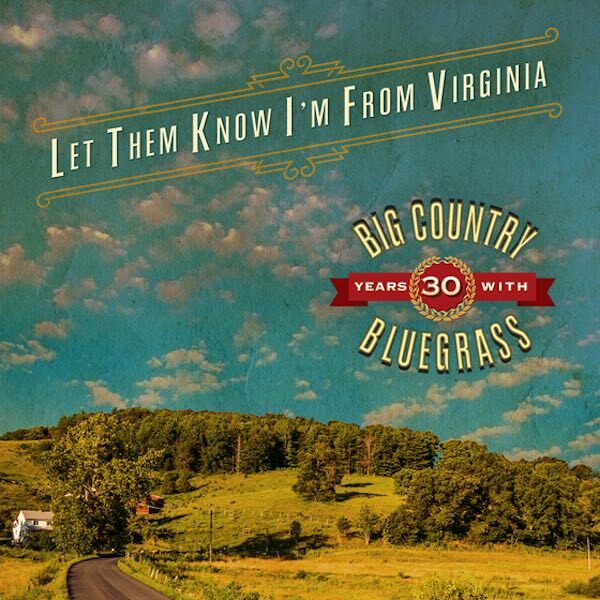 Big Country Bluegrass has been making music for 30 years, and Let Them Know I’m From Virginia is a celebration of the band’s commitment to, and love of, traditional bluegrass music. Big Country Bluegrass performed its first show in January 1987 and since that time has made many notable contributions to the bluegrass community. This recording, the band’s fourth, does the same. 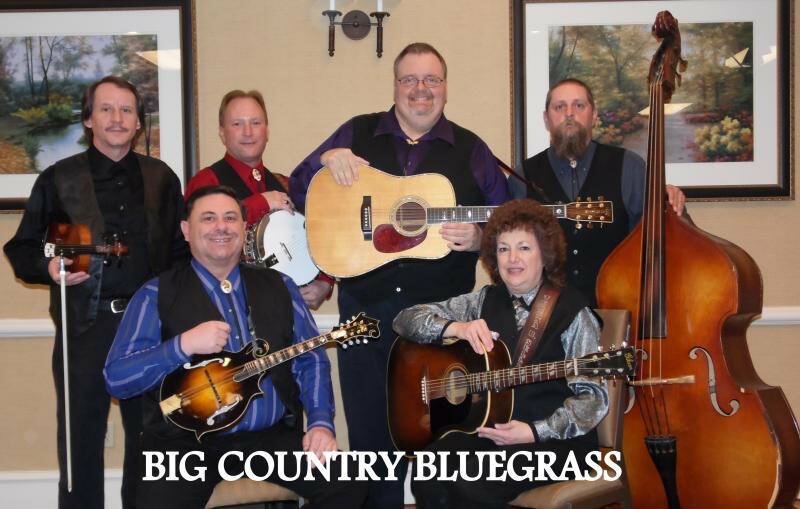 Big Country Bluegrass is known for their hard-driving music and its fine selection of material. Tommy Sells, the band’s founder and leader, has had a long standing and fruitful relationship with Tom T. and the late Dixie Hall. A combination that has produced such hits as “The Boys in Hats and Ties,” “I’m Putting on My Leaving Shoes” and “Bluefield West Virginia Blues,” songs that have all reached #1 on Bluegrass Unlimited’s National Airplay Chart. This album features two more Tom T. & Dixie Hall originals, “The Old Crooked Trail” and “If I Ever Get Home,” as well as songs by fine writers like the late James King, Glenn Alford, Marvin Morrow and Eric Marshall, among others. Lovers of mountain music will find Let Them Know I’m From Virginia a treat. If you enjoy bluegrass performed with all the right ingredients of taste, timing, and tone, and delivered in a heartfelt and spirited mountain style, then this recording is a must for your collection. The musical journey of Big Country Bluegrass continues – Dale Morris. or receive an instant free download of the single by preordering the album on these sites. Rebel Records has announced today’s release of “Bluefield West Virginia Blues,” the new single from Big Country Bluegrass‘ upcoming third Rebel album, Country Livin’ (REB-1858). The rollicking number was co-written by Tom T. and Dixie Hall and Troy Engle and is one of two Tom T. & Dixie compositions on the project. These songs are particularly poignant, given the recent passing of Miss Dixie in January. Miss Dixie was a dear friend who loved and supported our music so much. Her wonderful contributions, not only to us but to bluegrass music as a whole, were beyond measure – Tommy Sells Big Country Bluegrass. “Bluefield West Virginia Blues” was inspired by an experience Tom T. had in Bluefield, West Virginia where he encountered a phenomenal banjo player whom he regrets never meeting. The track concludes with a hard-driving take on the classic Don Reno instrumental “Green Mountain Hop” led by Big Country Bluegrass’ ace banjo picker Lynwood Lundsford. The song extends a fruitful relationship between the Halls and Big Country Bluegrass as each of the group’s last two recordings have included Tom T. & Dixie-penned numbers that have reached #1 on Bluegrass Unlimited’s National Airplay Chart: “The Boys In Hats & Ties” from the band’s Rebel debut of the same name and “I’m Putting on My Leaving Shoes” from their last effort Memories Of The Past. 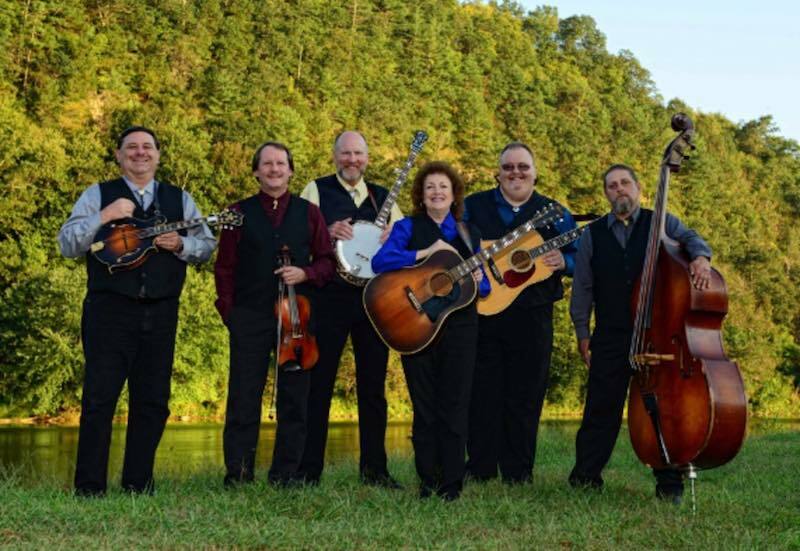 Led by mandolin picker and band leader Tommy Sells, Big Country Bluegrass has been producing some of the finest American roots music to ever come out of Southwestern Virginia’s Crooked Road Trail. Country Livin’, the group’s 18th recording in a nearly 30 year career, is packed with powerful and heartfelt music that is unabashedly traditional in style. The group not only sticks to the musical vision that the first generation of bluegrass artists created 70 years ago, they also stay true to the music traditions of their specific part of the world. Working with Sells to bring these songs to life is his wife, guitarist and lead and harmony vocalist Teresa Sells, main lead vocalist and guitarist Eddie Gill, banjo picker supreme and Jimmy Martin alumnus Lynwood Lundsford, bassist Tony King and newest member, fiddler and vocalist Tim Laughlin. 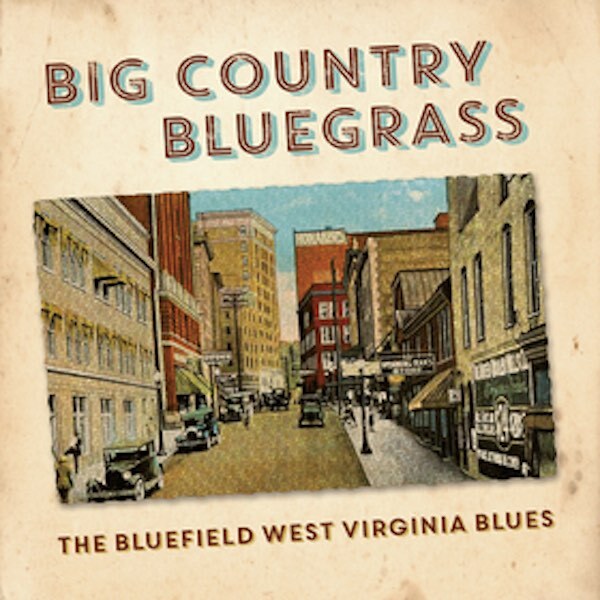 “Bluefield West Virginia Blues” can be purchased through iTunes, Amazon and other online retailers.